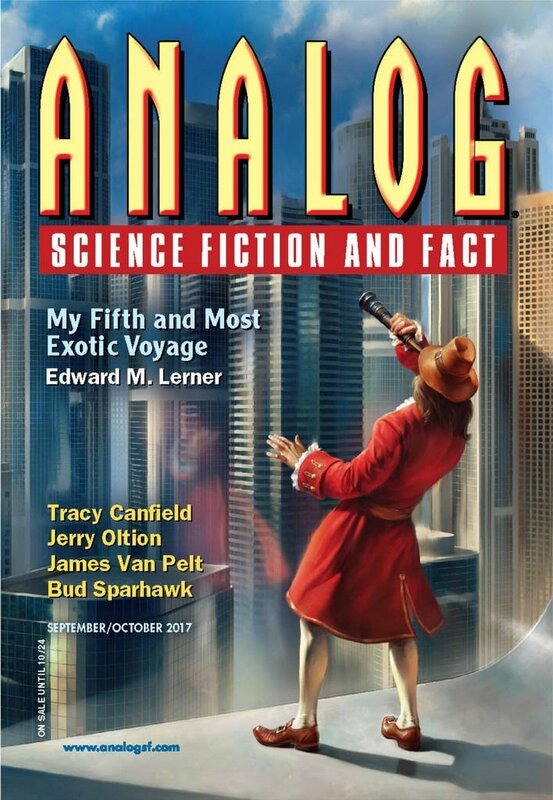 "The First Trebuchet on Mars," by Marie Vibbert [bio] (edited by Trevor Quachri), appeared in Analog Science Fiction and Fact issue 09-10|17, published on August 17, 2017 by Penny Publications. Pro: Jill earns (almost) everyone’s respect, and her trebuchet saves the day. Con: Between her abrasiveness and her carelessness she’s hard to like. Ned is a cardboard villain, mindlessly negative about everything. It’s hard to see NASA allowing either type of person to go to Mars.